Located in Columbus, Ohio, the law firm of Harry Lewis Co., LPA, provides a comprehensive range of family law and criminal law services to help individuals and families with their most serious and important legal issues. Serving clients throughout the Columbus metro region and the rest of Central Ohio, including Delaware, Ohio, attorney Gregg R. Lewis and his law firm deliver the personalized assistance and compassionate support his clients deserve when facing legal challenges involving divorce, dissolution of marriage, child custody and support issues, property division, spousal support, and other related matters. In addition, the law firm offers solid prenuptial agreements and wills to help clients protect themselves, their assets and their loved ones for the future. Those who have been arrested or are under investigation for crimes can trust the law firm for dependable, effective defense counsel to help them fight the charges they face and preserve their rights and freedoms. No matter how serious the crime, as a former criminal prosecutor, Mr. Lewis can devise the strongest strategy possible to help his clients obtain the favorable outcomes they seek. For over 40 years, Harry Lewis Co., LPA, has served the residents of Columbus and the surrounding areas, earning a reputation for excellent, professional legal counsel on which anyone can rely. Gregg R. Lewis continues this tradition today, and backed by more than 23 years of legal experience, he has the skills and resources necessary to help you, your family and your children through any difficult legal situation. For more information, you can contact the law firm to schedule a consultation. If you have any questions or concerns about whether divorce or dissolution is right for you, our firm can provide all the necessary information needed to make the right decision for your specific situation. Whether you are a young parent or someone with complex estate planning requirements, we can help ensure your will is clear and legally binding. Call us today to set up a free initial consultation at 614-221-3939. 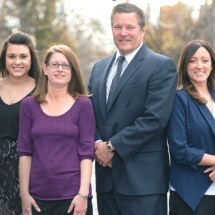 Our firm’s focus is to provide you with the best possible representation for your unique situation. If you’ve been accused of or charged with a crime, call us at 614-221-3938 for a free initial consultation.